10 A None No Power Seat 10 A is a standard Economy seat that has additional legroom, however, it has limited recline due to the Exit Row. 10 B None No Power Seat 10 B is a standard Economy seat that has additional legroom, however, it has limited recline due to the Exit Row. 10 C None No Power Seat 10 C is a standard Economy seat that has additional legroom, however, it has limited recline due to the Exit Row. 10 D None No Power Seat 10 D is a standard Economy seat that has additional legroom, however, it has limited recline due to the Exit Row. 10 E None No Power Seat 10 E is a standard Economy seat that has additional legroom, however, it has limited recline due to the Exit Row. 10 F None No Power Seat 10 F is a standard Economy seat that has additional legroom, however, it has limited recline due to the Exit Row. 11 A None No Power Seat 11 A is a standard Economy seat that has extra legroom due to the Exit Row. 11 B None No Power Seat 11 B is a standard Economy seat that has extra legroom due to the Exit Row. 11 C None No Power Seat 11 C is a standard Economy seat that has extra legroom due to the Exit Row. 11 D None No Power Seat 11 D is a standard Economy seat that has extra legroom due to the Exit Row. 11 E None No Power Seat 11 E is a standard Economy seat that has extra legroom due to the Exit Row. 11 F None No Power Seat 11 F is a standard Economy seat that has extra legroom due to the Exit Row. 14 A None No Power Seat 14 A is a standard Economy seat that passengers have reported does not recline. 14 B None No Power Seat 14 B is a standard Economy seat that passengers have reported does not recline. 14 C None No Power Seat 14 C is a standard Economy seat that passengers have reported does not recline. 14 D None No Power Seat 14 D is a standard Economy seat that passengers have reported does not recline. 14 E None No Power Seat 14 E is a standard Economy seat that passengers have reported does not recline. 14 F None No Power Seat 14 F is a standard Economy seat that passengers have reported does not recline. 27 C None No Power Seat 27 C is a standard Economy seat however, the close proximity to the lavatories and galley may be bothersome. 27 D None No Power Seat 27 D is a standard Economy seat however, the close proximity to the lavatories and galley may be bothersome. 28 A None No Power Seat 28 A is a standard Economy seat in the last row of the plane. This seat may have limited to no recline and the close proximity to the lavatories and galley may be bothersome. 28 B None No Power Seat 28 B is a standard Economy seat in the last row of the plane. This seat may have limited to no recline and the close proximity to the lavatories and galley may be bothersome. 28 C None No Power Seat 28 C is a standard Economy seat in the last row of the plane. This seat may have limited to no recline and the close proximity to the lavatories and galley may be bothersome. 28 D None No Power Seat 28 D is a standard Economy seat in the last row of the plane. This seat may have limited to no recline and the close proximity to the lavatories and galley may be bothersome. 28 E None No Power Seat 28 E is a standard Economy seat in the last row of the plane. This seat may have limited to no recline and the close proximity to the lavatories and galley may be bothersome. 28 F None No Power Seat 28 F is a standard Economy seat in the last row of the plane. This seat may have limited to no recline and the close proximity to the lavatories and galley may be bothersome. 9 A None No Power Seat 9 A is a standard Economy seat that has limited recline due to the Exit Row. 9 B None No Power Seat 9 B is a standard Economy seat that has limited recline due to the Exit Row. 9 C None No Power Seat 9 C is a standard Economy seat that has limited recline due to the Exit Row. 9 D None No Power Seat 9 D is a standard Economy seat that has limited recline due to the Exit Row. 9 E None No Power Seat 9 E is a standard Economy seat that has limited recline due to the Exit Row. 9 F None No Power Seat 9 F is a standard Economy seat that has limited recline due to the Exit Row. Power outlets can be found between seats in all classes. Each seat has a USB power port. TAP Portugal adjusts the number of Executive Class seats based on demand. Therefore Executive Class can have as little as no seats and as many as 42, as shown here. 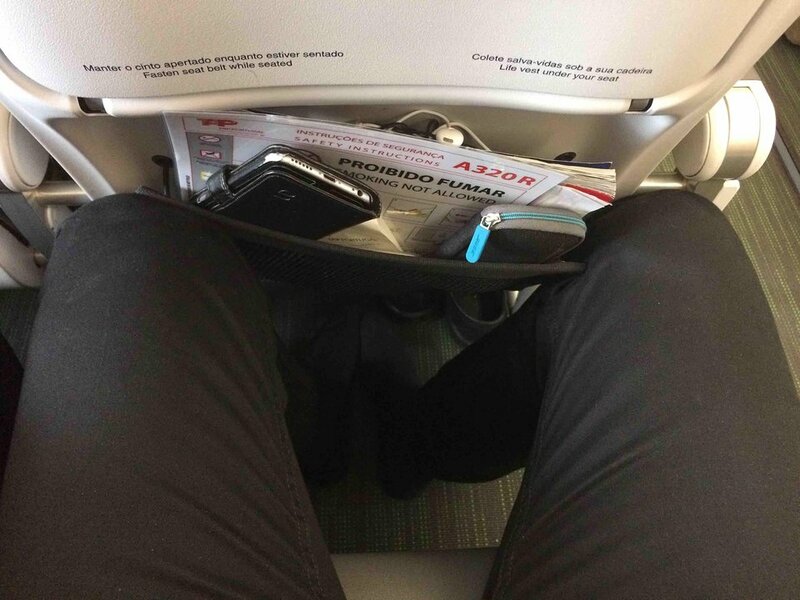 No space for legs, no flight entretainment in a 5 hours flight really? Though the seat map declares the exit row seat on row 11 in my flight the exit row was on row 12. Being an exit row, the extra space was nothing special. See the photo. Still very narrow leg space though I have had to pay extra for this seating. 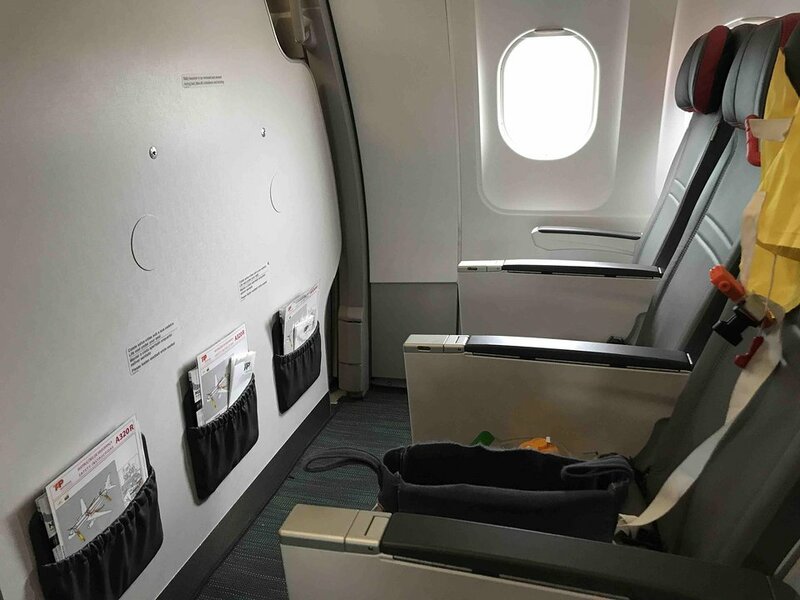 New Seats in whole aircraft. However no recline possible, near no space to the front row. Flew from LIS to ZRH, 2.5h. Horrible experience. On the last evening flight they provided exactely the same food, we got on a early morning flight from ZRH to LIS. TAP = STARALLIANCE? Not comparable, Quality of TAP is the worst we ever had. Service far below any other Lowcost Airline. We booked tickets with SWISS, unfortunately got this codeshare flight. NEVER AGAIN TAP!!!! 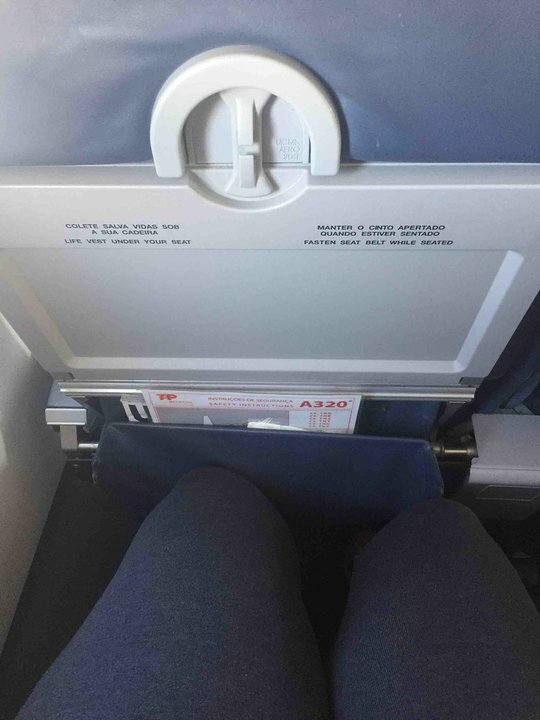 Very friendly staff but utterly horrible leg space.I flew the 320R on a 5 hour flight and was very glad I had the whole row empty as in normal position my legs simply did not fit (I am 1.94m). It was more tight than Ryanair or Wizzair. No equipment around the seat, no entertainment system, no power and limited recline. The executive seats are exactly the same as economy seats, they just don't sit anyone in the middle seat. On this plane (CS-TNR) all seats are old from first to last row. Row 12 is also emergency exit with decent space, however the old seats felt very worn. The seats starting row 13 are not regulating.The armrest are short and not comfotraable. 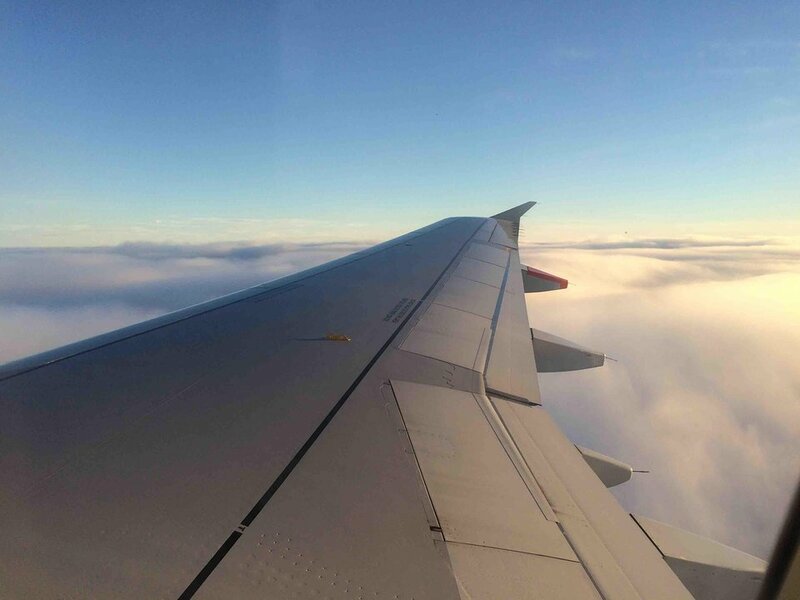 A 320R has Recaro seats, seats beyond wing exits are with fixed seatback. Very uncomfortable, try to avoid TAP planes, because they are replacing all old seats with Recaro and they use R´s also for night routes and on flights exceeding 4 hours. Standard economy seat but it's interesting that the middle seats in economy are slightly wider than the window or aisle seat. It makes up for the restricted legroom which yes, is tight. It is difficult to put into words just how uncomfortable this seat is. The pitch is in theory 30" but it's more like 28/29" because of the magazine rack and the seat cushion is like a lump of word. Avoid this flight / airline if you can. I flew from Lisbon to Geneva on the CS-TNT, and have to say that this aircraft is horrible. The seats are a little disgusting and old, the leather is used and dirty. I am not a very tall person, so I didn't notice any problems with the seat pitch or width. Seat pitch is too small for being called standard. There is an old-fashioned magazine rack at each seat that reduces the legroom even further. Passengers have to empty it to get their legs in a normal position. The cushions of the chairs reduce passenger space and comfort. These comments apply for most rows, not only row 8 and not only for the A320. On this A32O, there was no seat 5B in economy. Instead both 5A and 5C were wider than the standard seat, with a small common area in between. Hence it was a business class seating layout - but in the economy cabin. Well recommended. 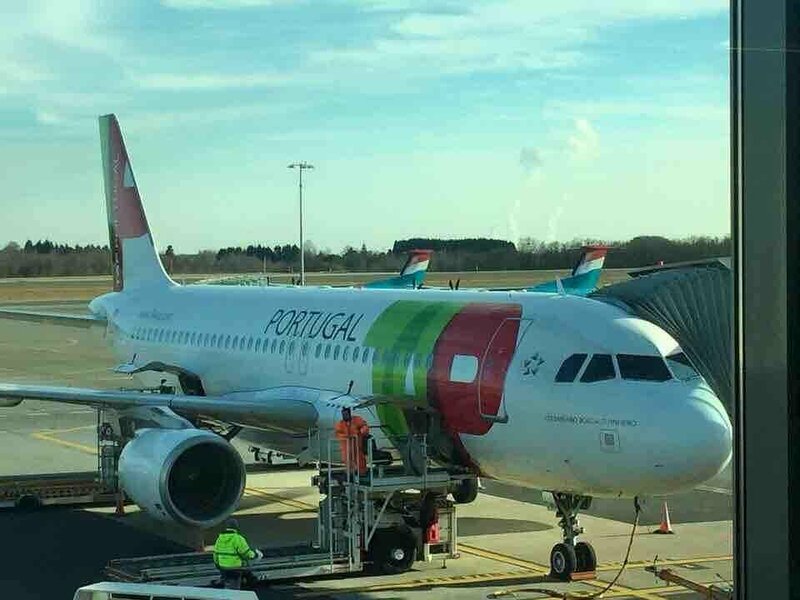 TAP Portugal flies 1 versions of Airbus A320.